An Alabama pastor asked his congregation on Sunday to pray against the witchcraft that he said is attacking President Donald Trump, and the sermon is getting a lot of attention on social media. “It’s time to pray for the president,” said Pastor John A. Kilpatrick, who founded the Church of His Presence in Daphne in 2006. Kilpatrick quoted 2 Kings 9:22, which attributes witchcraft to Jezebel. “When Elijah faced Jezebel, he was facing witchcraft,” Kilpatrick said. A video of the sermon that highlights the mention of witchcraft against Trump has more than 100,000 views on social media. 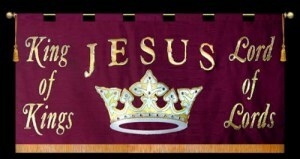 The entire sermon can be viewed on the church’s web site. Kilpatrick, an Assemblies of God minister, is best known for being pastor of the Brownsville Assembly of God in Pensacola when it hosted the Brownsville Revival, also known as the “Pensacola Outpouring.” More than four million people attended the Christian revival from 1995-2000. Kilpatrick left Brownsville in 2003 and started his own ministry. The Assemblies of God is a Pentecostal denomination with about 3 million U.S. adherents and 64 million worldwide that believes in the modern-day spiritual gifts of healing, prophecy and speaking in tongues. Church of His Presence is affiliated with the Assemblies of God. “I am not being political, but I don’t see how President Trump bears up under it,” Kilpatrick said in his sermon. “He is as strong as I’ve ever seen a man be. But here’s what the Holy Spirit said to me last night and what He said for me to tell you. He said, ‘Tell the church that so far, Trump has been dealing with Ahab. But Jezebel’s fixing to step out from the shadows.’ That’s what the Lord said to me. That’s the message he was trying to convey in the biblical analogy for Trump, he said. He wasn’t talking about a specific person who is a witch, he said. “It’s not a witch after him, it’s a spirit of witchcraft trying to muzzle him,” Kilpatrick said. Kilpatrick said he was not trying to tie in to Trump’s frequent complaint of a “witch hunt” in the special investigation into Russian meddling in the election. The City of Boston is being sued for prohibiting the flag’s display at its public forum. The City of Boston regularly allows civic and cultural organizations the freedom to raise their flags on the city hall flagpoles—which it has deemed a public forum—to commemorate important events to those organizations. 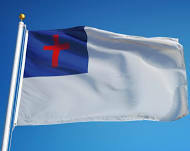 However, in 2017, when the group Camp Constitution requested that the Christian flag be raised in commemoration of Constitution Day, the city balked. Now Liberty Counsel is suing the city on the organization’s behalf, charging that officials denied Camp Constitution’s permit application based on “secret, unwritten, and unconstitutional” policies that refuse religious flags. Liberty Counsel and Camp Constitution, which is a Christian civic organization, are seeking a federal court injunction to force the city to allow the raising of the Christian flag above Boston City Hall for the observance of Constitution Day next month. During oral arguments today, Liberty Counsel’s Assistant Vice President of Legal Affairs Roger Gannam argued the city acted unconstitutionally. He noted the city’s own documents promise “to accommodate all applicants seeking to take advantage of the City of Boston’s public forums.” In its defense, city attorneys argued their officials only approve of these displays when the city approves the “message” of the applicant. The City of Boston has previously allowed the LGBT “Pride” flag, as well as the national flags of communist China and Cuba, to be flown on the city hall flagpoles. By its attorneys’ own admission, this would mean the city’s leaders endorse the “message” of those entities. Graham, who authored the recently published book The Daniel Key: 20 Choices That Make All the Difference, was recently interviewed by the Christian Broadcasting Network’s Scott Ross to discuss topics ranging from her book, to her late father, and what she makes of the social trends happening in the world today. Graham was asked to elaborate on a point she makes in her book about how Daniel, who was taken into captivity by Nebuchadnezzar of Babylon in the Old Testament, would go into a “spiritual warfare” when he prayed. As the United States and other societies around the world over the last several decades have embraced ideas of the sexual revolution that have led to more acceptance of behaviors that the Bible considers sinful, Lotz said that she believes there is a spiritual warfare going on across the culture today. Lotz couldn’t provide a definitive answer when asked if her father was disappointed in the social changes of the past several decades being that he preached the Word of God to millions of people all across the globe since the 1940s. Remarkably, man’s receiving a neshama did have an effect that even science recognized. Dr Schroeder related a visit he paid to the British Museum in London several years ago. An entire wing of the museum was dedicated to a change that occurred in mankind that museum curators believed to be the landmark that defined human society; the beginning of cities. A large brass plaque on the museum wall proudly proclaimed that this change occurred spontaneously around the world 5,500 years ago. Dr. Schroeder explained that the reason for science has yet to fully understand this sudden universal change, but can be understood in Biblical terms as the moment when man was instilled with a neshama. In addition to the new timeline of 100,00 years, the results of the new study are problematic for classical evolutionary theory which is based on long sequences of random mutations followed by natural selection. The gene study found a lack of variation in so-called “neutral” mutations, which are the slight changes in DNA across generations that neither help nor hurt an individual’s chances of survival. This would result in species with large, dispersed populations becoming more genetically diverse over time. The study showed that this was not the case, bringing into question evolution as it has been taught for almost 100 years. Here’s something completely different for the hive mind to consider. It just came to my attention this morning, and I’m trying to get a read on it. A friend passed on this 50-minute documentary about “new findings” on the Shroud of Turin. The documentary is from 2008, it appears; I haven’t been able to find any follow-up on these supposed new findings, so I don’t know if they’ve been disproved or validated. The movement within the Shroud image, it is claimed, is much more restricted, but still visible. If the image is in fact a glimpse of the moment of Christ’s Resurrection, then it is more like a kind of video of the first seconds of the Resurrection, depicting an oscillating movement of Christ. The documentary does not point this out, perhaps because the scientists are Roman Catholic, and didn’t recognize the significance. It is also possible that the Shroud Man’s hand moved to that position as a sheer coincidence. But it is exciting to consider the possibility that the Shroud Man, if he is the Resurrected Christ, made, as his immediate first act after life returned to his body, a gesture of holy blessing. Now, my skepticism of this documentary is twofold. One, in my (admittedly limited) search, I haven’t been able to find anything reproducing these results, or even analyzing them independently. Maybe you readers can point me to something. Second, in watching the video, I cannot see in most cases the images that the scientists claim is visible. It is certainly possible that the documentary can’t recreate the same detail visible with instruments. It is also likely that an untrained eye can’t see what trained eyes can see. But part of me wonders to what extent people are seeing what they want to see. Cards on the table: I do believe that the Shroud of Turin was the burial cloth of Jesus Christ. Having said that, I don’t want to be quick to accept the findings of these scientists. So, I’m appealing to the wide readership of this blog for guidance.